Ne samo cvetoči grmi in cvetice. Tudi drevje je vsak dan lepše in barvitejše. Še prav posebne lepotice so breze s svojim belim lubjem in svetlo zelenimi listi. Barve, ki sem jih našla na tem DP so kakor naročene za izziv pri YNS, seveda če izbereš barvno kombinacijo. - nekaj Promarkerjev in Distress blazinic za barvanje. Beautiful card! Everything about it is perfect! 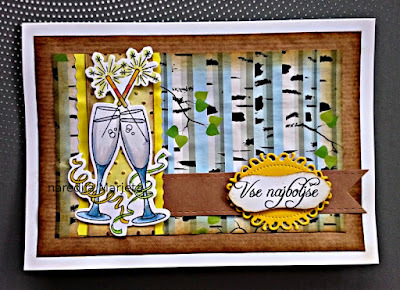 Beautiful card...I love the trees. Thanks for playing with Little Miss Muffet Stamps. 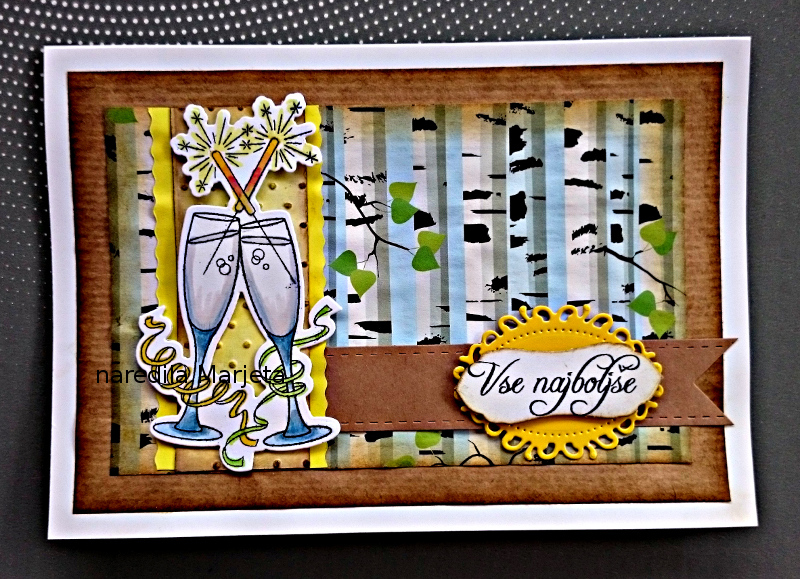 A super card Margaret, such a fabulous design. Such a wonderful scene you've created. Thanks so much for sharing with us at CRAFT Challenge this week! Wonderful card. Great paper. Thanks for joining us at CHNS patterned Paper Challenge this month. Great card!!! I love it!! !